If you follow kitchen and appliance trends, you’ll have probably heard of or come across ‘black steel’. A stunning twist on stainless, black steel adds an additional element to your kitchen, giving it a different look and feel. Black steel is beautiful. And we aren’t just saying that. We have several appliances in our showroom with a black steel finish and for me personally it trumps all other finishes! It looks expensive; however, there isn’t a massive jump in price from a stainless-steel finish. So, if you wanted to invest, it wouldn’t cost you much more to do so. So, how do I explain black steel. Black steel is basically a black steel finish (yes, I know, that’s why it is called black steel) but without seeing it in the flesh it is a little difficult to explain. It’s not a matte black, it’s not a shiny black, it’s kind of in-between. It is a little bit like a deep grey that is almost black, however some brands have what looks like a blue tinge to their black steel. Regardless, it looks fantastic and will add a lot of character to a kitchen. 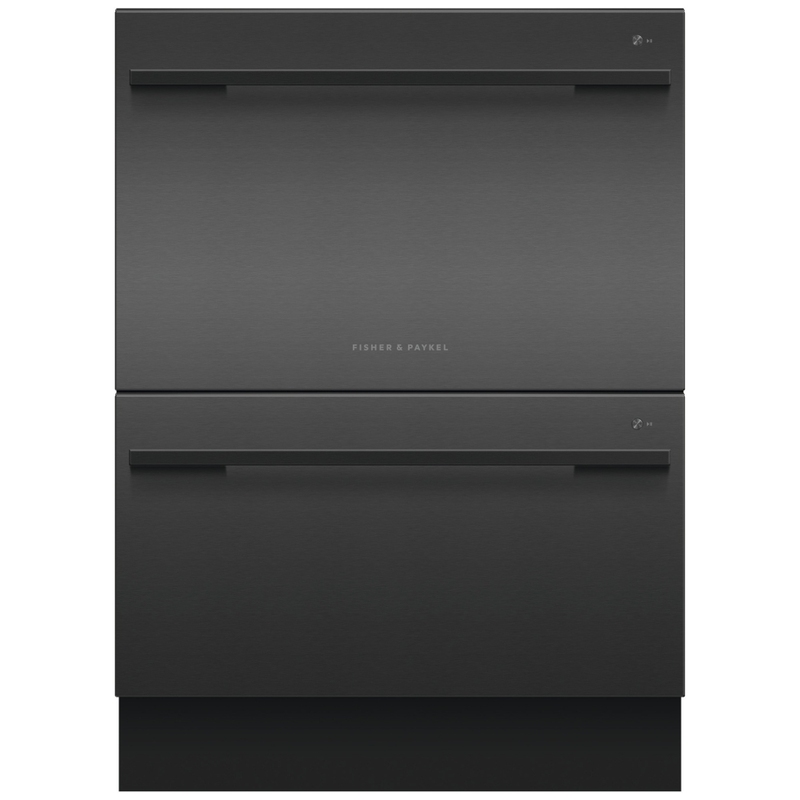 Fisher & Paykel, have recently added a black steel DD60DDFHB9 double dishdrawer to their collection. Already having the RF540ADUB5 Goliath in black steel, it made sense for them to add the finish to their ever so popular and exclusive double dishdrawers too. And so, I am told, there will be a black steel single dishdrawer hitting the range in the summer. Team these appliances up with their stunning black companion range or black range cookers and you’ll have a sultry kitchen you’ll absolutely adore. 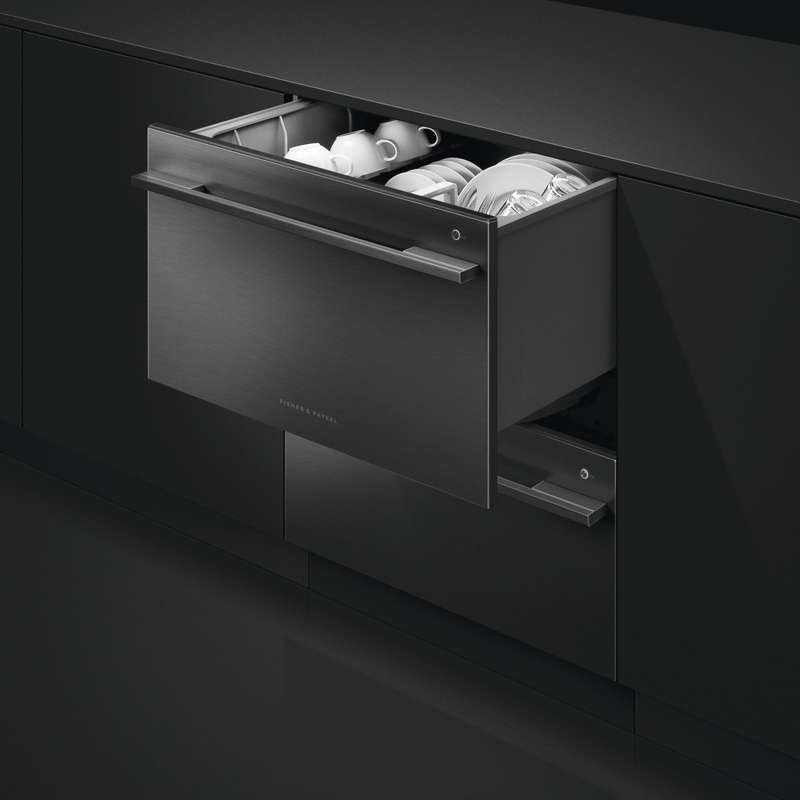 Like Fisher & Paykel’s other double dishdrawer models, the DD60DDFHB9 allows you to wash one drawer and stack the other or wash both at once using different wash programs. Featuring a sanitise mode which kills 99.9% of bacteria and germs and flexible racking which allows you to customise your internal shelving to suit your needs, plus a quick wash and extra dry option to provide superior performance, the dishdrawer is the perfect option for any kitchen, especially if you are short on space or want to integrate your dishwasher into your kitchen design. The black stainless steel finish with black anodised aluminium handle and buttons looks stunning. 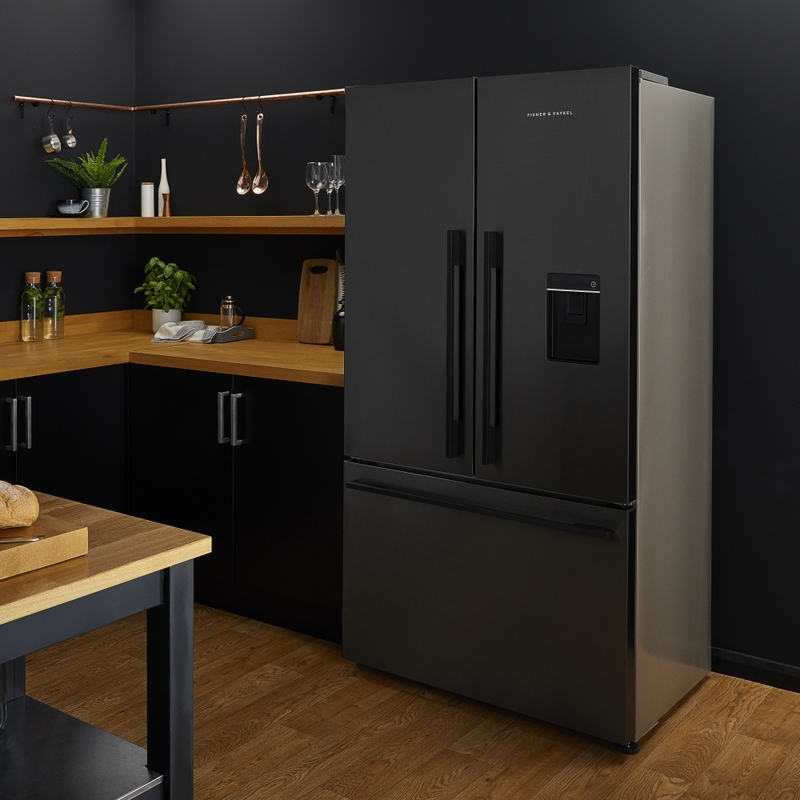 Fisher & Paykel’s black steel Goliath French style fridge freezer offers generous storage and flexible shelving options with doors panels in striking black brushed stainless steel, which matches perfectly with the DD60DDFHB9 double dishdrawer. It is designed to fit into an existing kitchen cavity with black finish on the door panels only and brushed metal handles, plus it is EZKleen anti-fingerprint coating so there will be zero sticky finger marks on the finish. Featuring ActiveSmart food care which helps keeps your food fresher for longer the Goliath not only looks beautiful, it is a fantastic family fridge freezer. It’s not just Fisher & Paykel who jumped on the black steel bandwagon. Other brands such as Liebherr and Siemens have an array of black steel appliances to choose from too! 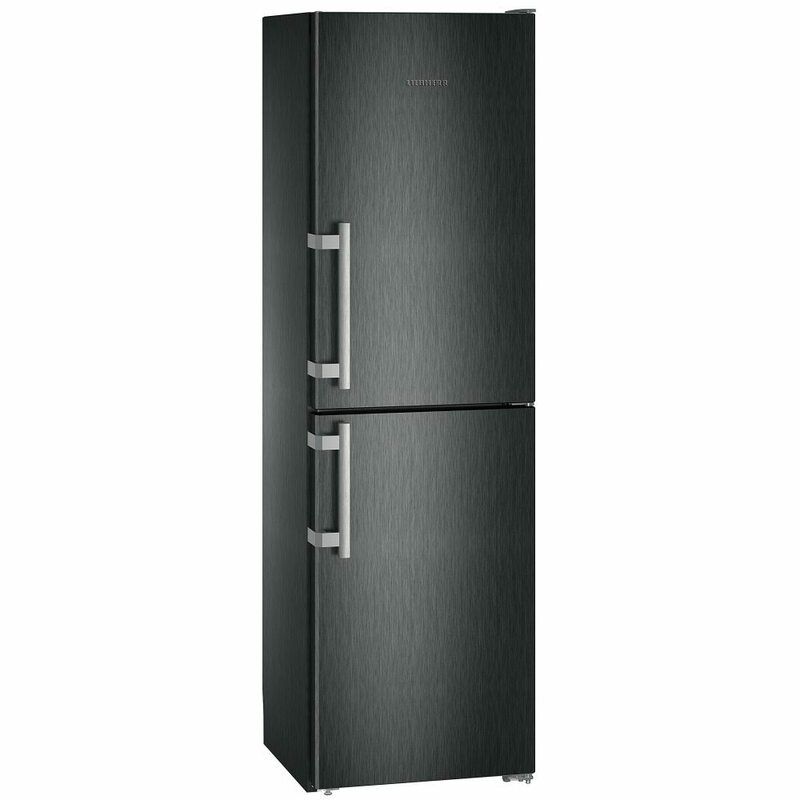 This stunning black steel fridge freezer from Liebherr will make a great statement in your kitchen. Featuring Power Cooling which circulates chilled air evenly, while each compartment is individually controlled keeping your foods fresher for longer with no transfer of heat or smelly odours. Not only that it has easily adjustable shelving so you can adapt according to your food choices, plus with an easy to maintain frost free interior you’ll never have to defrost your freezer again! Perfect. 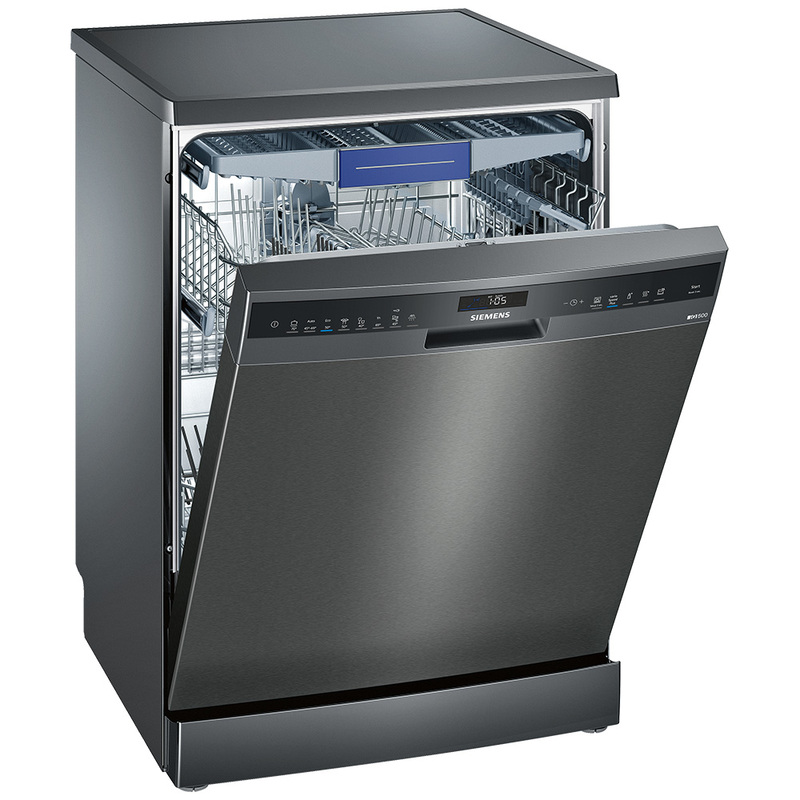 This Siemens black steel freestanding dishwasher offers a total of 8 programmes, space for 14 settings and a noise level of 44 decibels. With features such as Dosage Assist, which ensures complete dispersion of powder or tablets, brilliant internal flexibility thanks to VarioFlex adjustable baskets and gleaming dishes in a flash via the use of Vario Speed to ensure significantly quicker running times without compromising on the wash cycle. 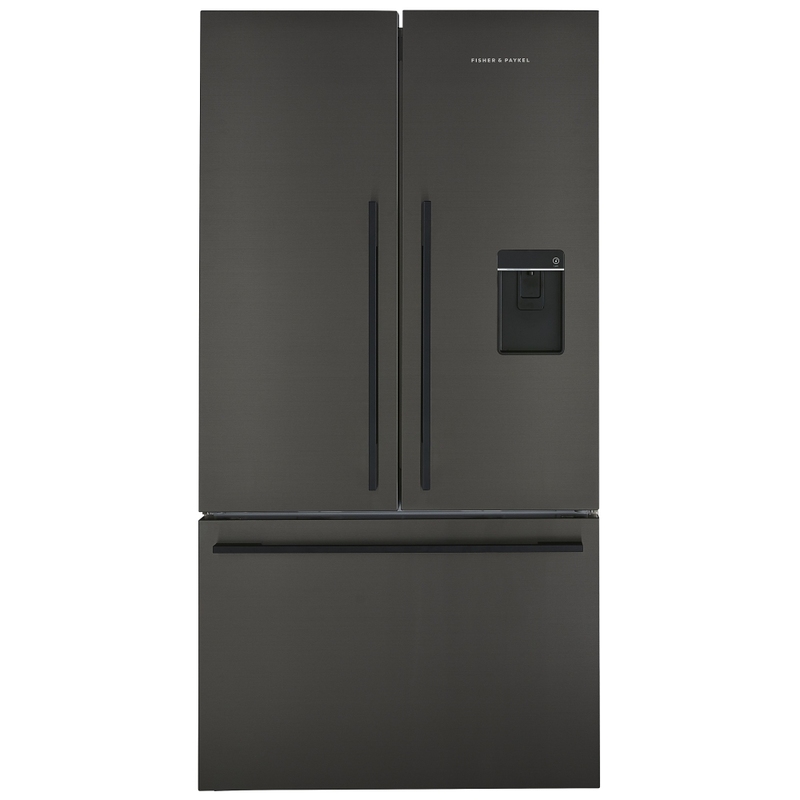 You can view all our black steel appliances here. So, has black steel won you over? Will you be adding it to your new kitchen? Or perhaps upgrading what you’ve already got? Black steel is a stunning choice and a fantastic alternative to stainless steel. Not sure still? Come and see our black steel models in the flesh in our Bunny showroom. You will not be disappointed!